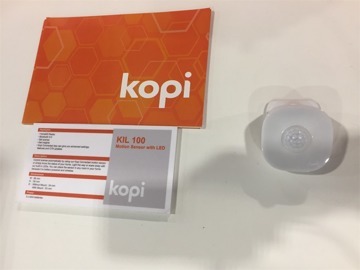 Kopi has launched a range of smart home accessories and security devices compatible with HomeKit at CES, including a central security hub, contact sensors, a smoke and carbon monoxide detector, and a motion sensor with a built-in LED for illumination. 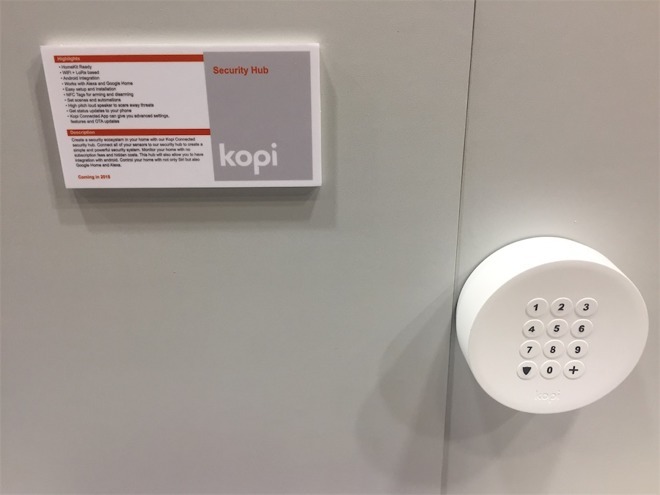 The main Kopi Security Hub connects to the home network with Wi-Fi, and acts as a central point for all of the sensors in the user's home security installation. 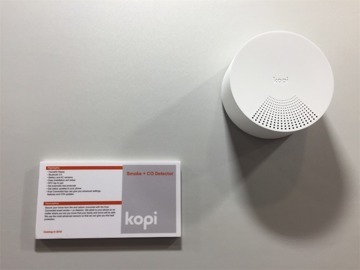 The hub includes a high-pitched speaker to raise an alarm, can be armed and disarmed using NFC tags, and can also be configured using the Kopi Connected app, which can be used to receive status updates and notifications. 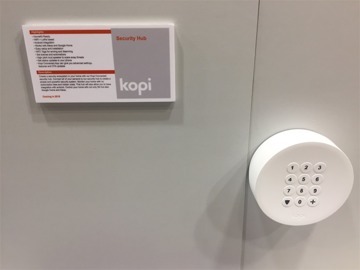 Along with the app, the Security Hub and other items in the security system are also able to connect to HomeKit, with the hub able to set scenes and automations for when the home owner arms and disarms the system. As well as supporting HomeKit, the system also offers integration with Android, as well as with Amazon's Alexa and Google Home. The Smart Contact Sensor is a battery operated and wireless attachment for doors and windows to signal if it is opened or closed. Along with triggering HomeKit scenes and other device functions when used, the sensor is able to send notifications when the door opens or closes, and can keep a log of all status events for the home owner's records. Mountable on the wall, the battery and AC-powered Smoke + CO Detector connects to the rest of the system with Bluetooth 5.0, with initial pairing performed over NFC. 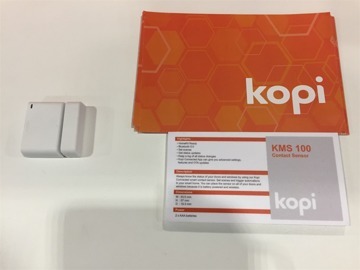 Alerts for the presence of smoke or carbon monoxide can be sent to an iPhone, with automatic testing of sensors able to be set up through the firm's app. Lastly, the Motion Sensor with LED is a compact unit that mounts to a wall or another surface, and is powered by three triple-A batteries. 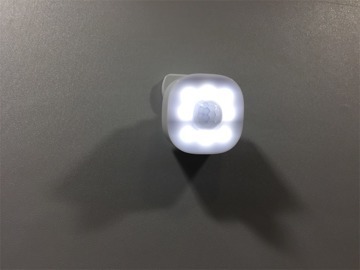 Its motion detection can trigger HomeKit scenes, connecting over Bluetooth 5.0, with the light able to both illuminate a specified area and provide home owners a simple status indicator for the home. 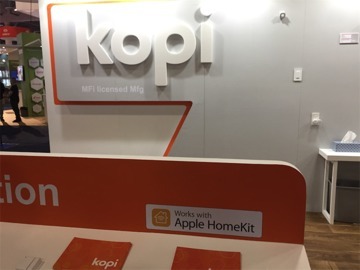 Pricing for the hardware in Kopi's range is as yet unknown, but the firm plans to ship the HomeKit-enabled security devices in the coming year.